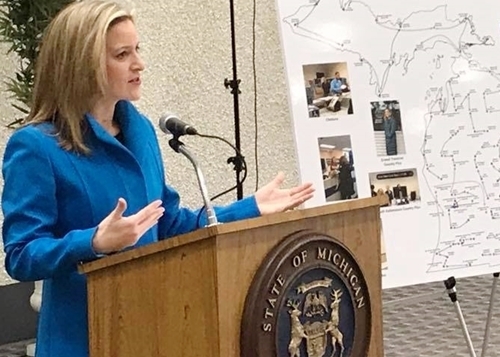 Jocelyn Benson has a dream, oh yes she does -- a dream that in the next three years no driver will wait more than 30 minutes for service at a Michigan Secretary of State office. Three months after taking office and starting road trips to all 131 branches, the elected department head acknowledges a situation that "is not acceptable and needs to change. . . . Fixing it will require a top-to-bottom review." 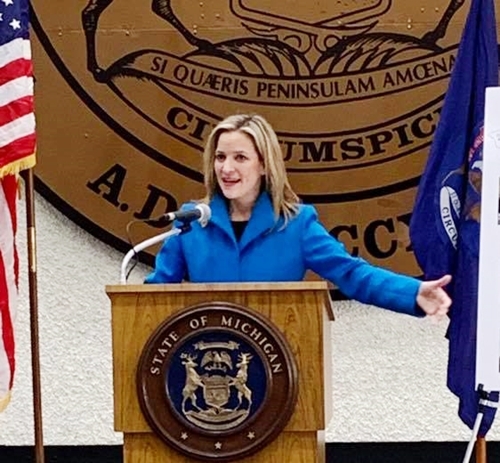 "When she visited the Dearborn office" on Schaefer Road, writes Riley Beggin of Bridge magazine, "she said she saw Arabic-speaking customers were having trouble getting the service they needed because none of the office employees spoke Arabic. After her visit, Benson said, the branch quickly hired two Arabic-speaking employees." "We inherited a broken system, one that is a result of deep challenges and decisions that were made far before I got there that brought us where we are today. . . .
"Our current system is inconsistent, outdated and inefficient . . . the result of too many short-term solutions over the years that have yielded only partial results." "There's no short-term solution here. There's no silver bullet, there’s no quick fix. "There’s no quick fix," says Michigan's first Democratic secretary of state since 1994. Working toward the goal of a 30-minute service guarantee at branches “incrementally and consistently through my entire term,” which runs through 2022. Web updates for smoother online services. More self-service kiosks that work and are easier to use for processing paperwork. Reducing branch visits by auto dealers, manufacturers and other high-volume users. Fixing the MI-TIME Line e-appointment system to extimate wait times more accurately. Possibly moving some urban branches to sites with more parking. Pushing for legislative passage of multi-year license plates and automatic license renewal.